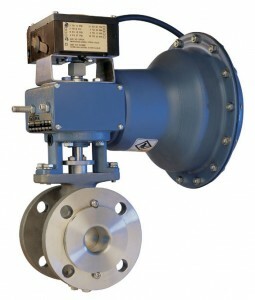 DeZURIK Rotary Control Valves are eccentric valves for throttling liquids, gases and slurries. They combine precise throttling accuracy and control over a full 90° of rotation. Rotary Control Valves are designed for bi-directional flow capability and include four trim options for flexibility. Designed for ease of maintenance with no internal threaded components and self-aligning seat and plug. Flanged or flangeless designs to meet ANSI or ISA face-to-face dimensions. Tungsten carbide coated trim components and design features provide superior erosion resistance.